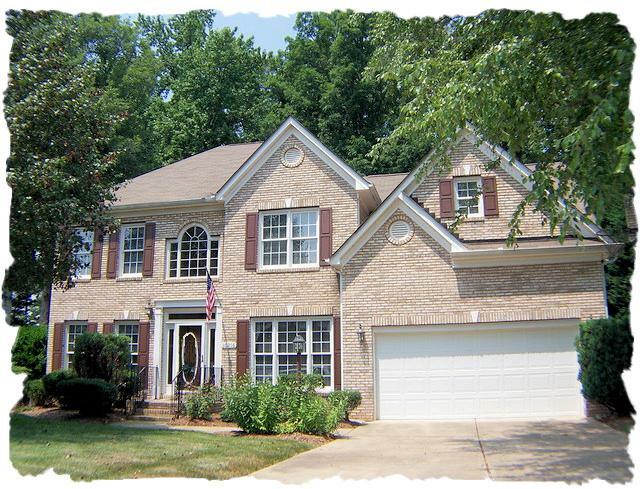 Beautiful & well maintained home in Wynfield Forest. Hardwood floors just refinished, new ss appliances in kitchen, granite countertops, dual staircases & open concept living on main level. Home office on main w/custom built-ins. Walk in attic upstairs is heated and cooled. Easy finish to make into another room and additional sqft. 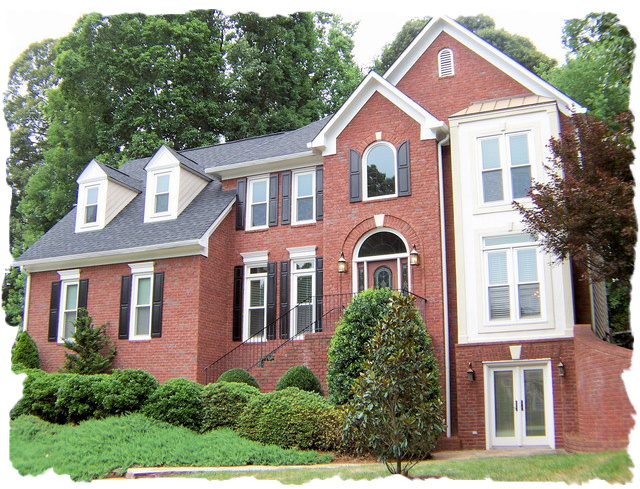 New roof in 2011, exterior painted in 2011, water heater replaced in 2007 & HVAC in 2009. Lovely backyard with firepit and potting area. Great community with activities. A must see home! Bedrooms: 4 Full Bathrooms: 3 Half Bathrooms: 1 Square Feet: 3,800-4,600 Lot Size: .34 Need space?…Look no more. Three levels of living space should give you plenty of room to stretch out and/or expand. Home has all hardwood floors, laminate or tile throughout for easy maintenance. Fabulous renovated kitchen with Bosch dishwasher, Dacor commercial gas range, granite tops and beautiful cabinetry. Large two-story great room with fireplace. Huge Owner’s suite with superb walk-in closet & updated bathroom. Basement level would be perfect for second living quarters or teen suite. Wonderful screened porch with views of private & fenced rear yard. The best deal in town! Some properties that appear for sale on this website may subsequently have been sold and/or may no longer be available. Bedrooms: 4 Full Bathrooms: 3 Half Bathrooms: 0 Square Feet: 2,700-3,200 Lot Size: .25 Desirable location in Huntersville! This home has a nice deck overlooking level and wooded rear yard. Popular plan with great flex space. Home office on main level. Kitchen, great room and breakfast area are open to each other. Large owner’s suite with spacious bathroom & walk-in closet. 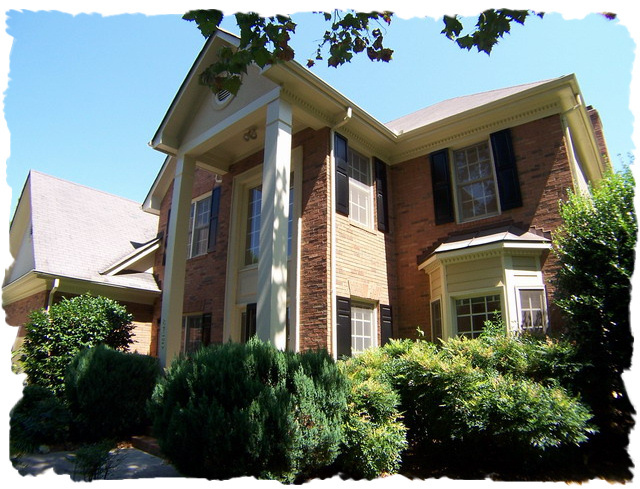 Close to great shopping, restaurants, I-77, Hwy 73 & Hwy 115. Close to community swimming pool! Some properties that appear for sale on this website may subsequently have been sold and may no longer be available. Bedrooms: 4 Full Bathrooms: 2 Half Bathroom: 1 Square Feet: 2,300-2,800 Lot Size: .15 Need lots of open space? Then this is your home! 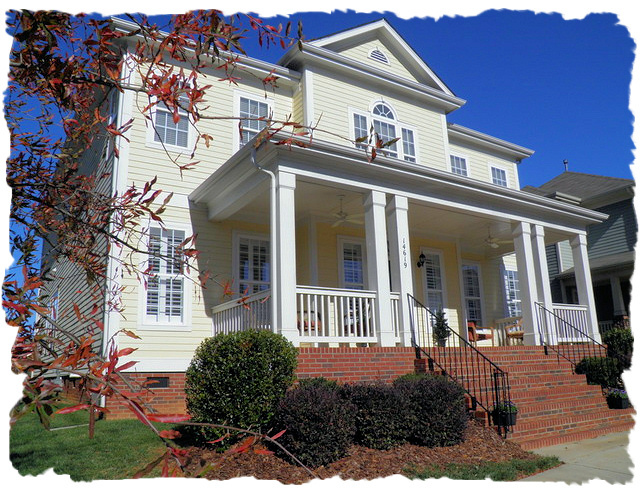 One of largest floorplans in Cabarrus Crossing! This well cared for home has an owner’s suite on main level, fresh paint thru-out the inside, bonus room, generous bedroom sizes & 2 car garage. Open plan with great room and kitchen opening to each other. Large bonus room and layout offers multiple uses. A private rear yard that doesn’t back up to other homes. Community swimming pool and playground are close to home. 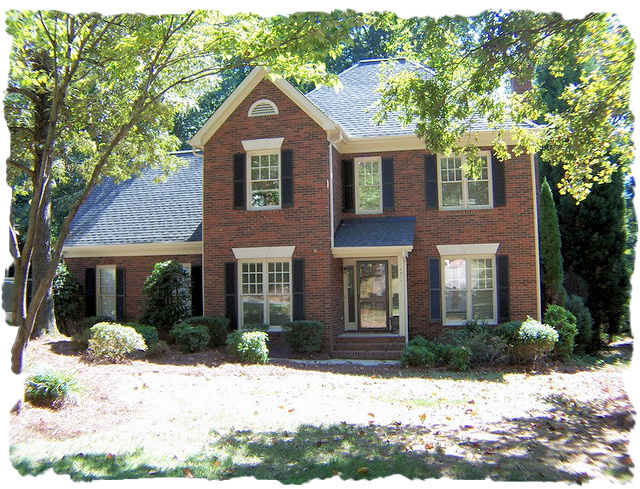 Wonderful location in Huntersville with low Cabarrus taxes. Close to Concord Mills Mall, major roads, Charlotte Motor Speedway, and more! Some properties that appear for sale on this website may subsequently have been sold and may no longer be available. 8733 Taybrook Drive – Huntersville , NC 28078 Bedrooms: 4 Full Bathrooms: 2 Half Bathrooms: 1 Square Feet: 2,300-2,800 Lot Size: .36 Desirable floorplan in this spacious home. Extensive landscaping adds beauty and privacy to this corner lot. Large kitchen with cherry cabinets, center island, and a desk. Skylights in owner’s bathroom and in hall bathroom help with “green living”. Central vac, speaker system, two story foyer, and dual staircases. Owner’s suite offers his/her closets & a separate dressing area. Very nice home in the wonderful Wynfield community. 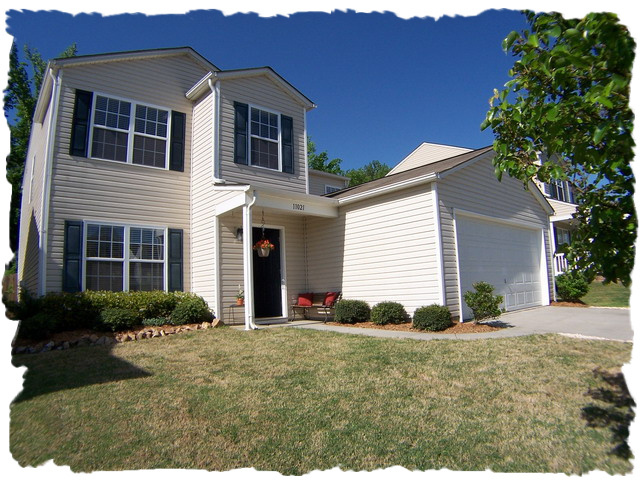 Enjoy the community swimming pool, playground, tennis courts and walking trails. Short sale opportunity! Some properties that appear for sale on this website may subsequently have been sold and may no longer be available. 14937 Chilgrove Lane – Huntersville, NC 28078 (Wynfield) Bedrooms: 3 Full Bathrooms: 2 Half Bathrooms: 1 Square Feet: 1,500-1,900 Lot Size: .30 Charming brick front home on quiet cul-de-sac street. Great Room, breakfast area and kitchen opens to each other. Fireplace in Great Room. Hardwood floors in Dining Room, kitchen & breakfast area. Owner’s bedroom offers a deep trey ceiling and a private bathroom with dual sinks, garden tub, separate shower and walk-in closet. Enjoy a screened porch & large deck that look over private wooded yard. Rear yard is fenced and includes children’s play equipment. Home is in excellent condition – just painted in & out 8/2010, new carpet 08/2010, new light fixtures, granite in kitchen, new microwave 09/2010, new garage door, roof approx 2006. Close to community pool, tennis court, basketball court, playground, & club house. Great value and a golden opportunity in the Wynfield community. Some properties that appear for sale on this website may subsequently have been sold and may no longer be available.